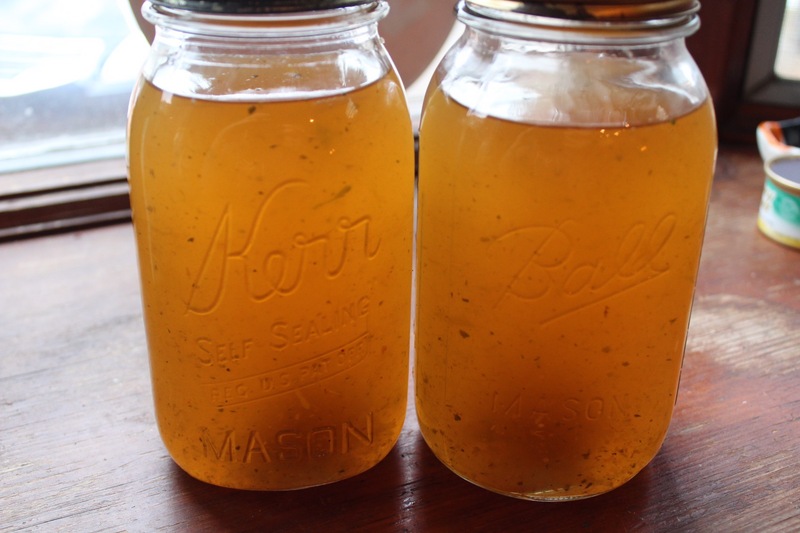 What exactly is the difference between stock & broth? I used to think there was no difference until I started making my own. They are of course still very similar but stock is typically made with no meat or just the bones and cartilage of the animal and broth is typically more hearty since it involves cooking the actual meat to flavor. I use both. If I am making soup I usually just use stock but if I am making a stew or something more hearty, I use broth. 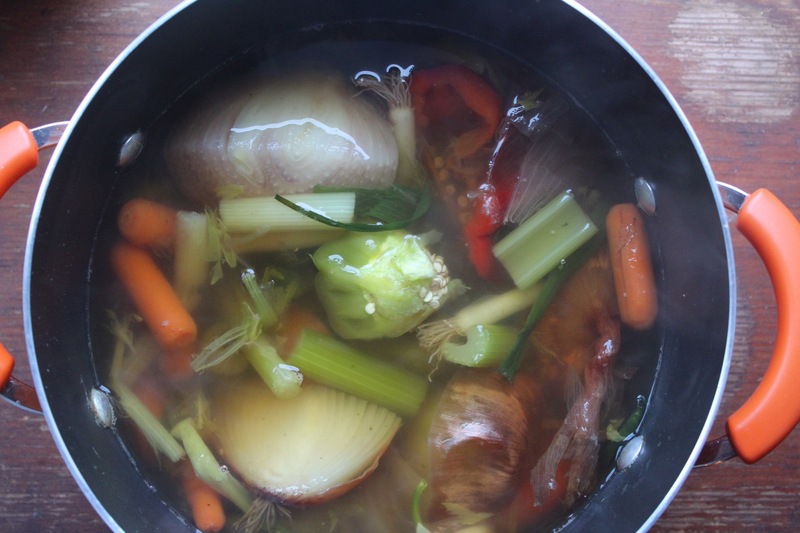 This recipe is for a vegetable stock. You can throw in some cooked or uncooked bones that you had leftover to make it chicken stock or just keep this healthy and simple recipe for stock to keep on hand. Now, what exactly do you need? Dont worry about the stems and seeds. Most of the time the skin, stem and seeds pack the most flavor! It’s all edible so don’t freak out. Just throw it in! In a large soup pot, bring a pot of 8 cups of water to a simmer. Once the water heats up and simmers, add all of your scraps and seasoning. You will have to tweak the salt and pepper. I usually add a tbsp each but to each is own. Let cook for 20 minutes while simmering and turn the heat off and let sit another 15 minutes with the occasional stir. 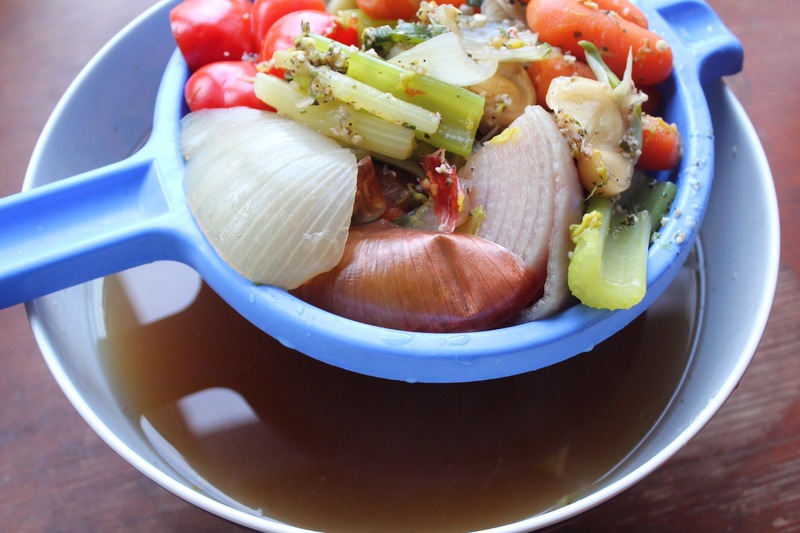 Once it cools, strain your stock and separate the liquid from your veggies. I use a small strainer and pour everything in with a bowl underneath.